The town of Vinci, between the Valdelsa and Montalbano hills, boasts a well-preserved medieval center that is a delight to visit, known worldwide for being the birthplace of the greatest genius of the Italian Renaissance: Leonardo da Vinci. The life of the town revolves around the eclectic Renaissance figure and Vinci itself has become a sort of diffused museum dedicated to the master. The first stop on any visit must be the Leonardo Museum, an important institution where guests can explore Leonardo’s techniques and scientific studies, presented within a highly-contextualized Renaissance framework. The machines and models are displayed with precise references to the artist’s sketchings and notes and are accompanied by digital animations and interactive apps. At the beginning of the itinerary, a large panel shows all the stops that pertain to the life and work of Leonardo, with a nod to the main historic, cultural and social happenings of his time. Naturally, visitors will be greatly attracted to the models of Leonardo’s machines: from the ones for military use and construction to scientific instruments. The visit can continue in the basement spaces of Conti Guidi Castle, where the Museo Ideale Leonardo Da Vinci is located, with paintings from Leonardo’s workshop and school, artefacts, reconstructions and documents. An outdoor section of the museum belongs to the project Giardino di Leonardo e dell'utopia, a work in progress that is always improving with new elements. 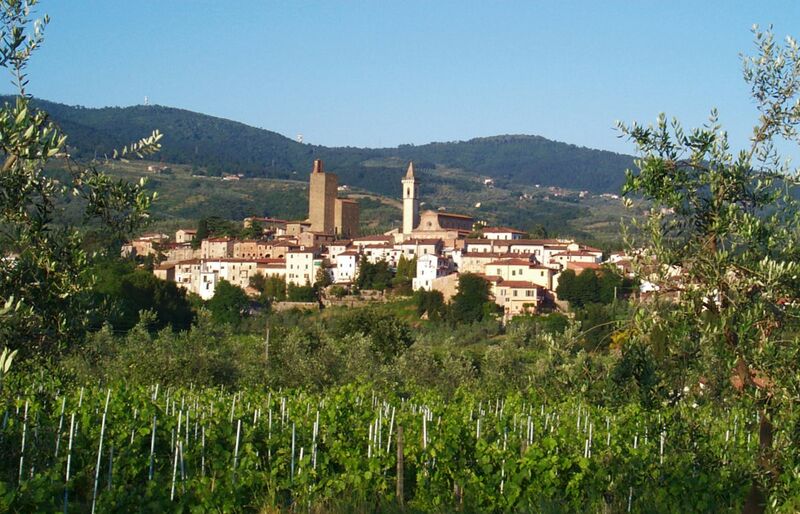 Not far from the center of the town, in Anchiano, visitors can still see Leonardo’s birthplace. The house, located within an evocative hilly landscape, is home to a permanent exhibition. Complete the tour near the Biblioteca Leonardiana, a research center specialized in Leonardo’s lifework and a reference point for Italian and foreign academics. The museum complex housed in Palazzina Uzielli, Conti Guidi Castle, and the Biblioteca Leonardiana make up a prominent documentation center on Leonardo and his era. The museum is also one of the most extensive and original collections dedicated to Leonardo the engineer, architect and scientist. The museum opened in 1953, when IBM donated a series of Leonardo’s models to the Municipality of Vinci.